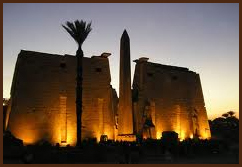 Luxor was the site of the ancient Egyptian city of Thebes, and is often referred to as the world's greatest open air museum. On the East Bank, amongst the many ruins, are the great temple at Karnak which was the most important temple of Egypt right until the end of antiquity. 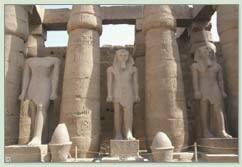 Also the Luxor Temple, Luxor Museum and Mummification Museum are on this Bank. 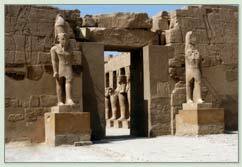 Across the Nile on the West Bank, lie monuments, temples and tombs, and here you will find theValley of the Kings and the Valley of the Queens, Tombs of the Nobles, Colossi of Memnon and much more. One of the more spectacular sites is The Temple of Queen Hatshepsut. Hatshepsut was the first queen to rule over ancient Egypt and many people, including other royal members, objected to the idea of having a female rule over Egypt. Through many achievements, she was able to prove her abilitiy and went on to become one of the most important and successful rulers of Egypt throughout history.